These are my essays and research papers that deal with international affairs and security issues. The 4 articles on this page consist of assignments for classes I have had at OU. I received top marks for all of my work and endeavor to illustrate an accurate picture of the issue being discussed. 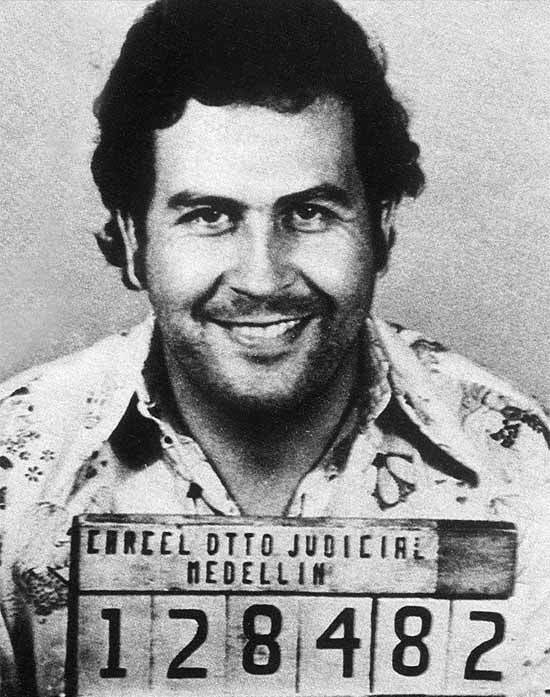 The downfall of Pablo Escobar’s Medellin Cartel is directly attributable to signals intelligence. There were two crucial methods used to dismantle the drug network and single out the kingpin – Escobar himself. The creation of the specialized task force – Search Bloc – proved to be the single most important asset for taking down Pablo Escobar; both in terms of intelligence and spying as well as the execution of missions on relevant actionable intel. Secondly and complimentary to the human aspect of taking down Escobar was the mobile SIGINT technology they had at their disposal. The Search Bloc’s use of radio communications triangulation would prove to be invaluable in terms of intercepting messages and locating the positions of where Pablo and his associates were deployed throughout Medellin. When Pablo Escobar successfully corrupted enough of the members in the National Council and directed them to abolish Columbia’s right to extradition treaties – the option of international and inter-agency cooperation became an absolute necessity. Then President George H.W. Bush directed U.S. Special Forces and Intelligence Services to aid the Columbians in any and all ways to facilitate the removal of Pablo Escobar from any position of power. The dedication and determination of the hunting group – in this case the U.S. and Columbian Nationalist alliance – was key to their perseverance towards their objectives. However, a fortunate break in their case came when they were able to get a hold of Escobar’s top pilot. Thanks to human intelligence efforts they were able to flip the pilot’s allegiance and take advantage of the situation. They were able to track a vague outline of the delivery lines, providing them with a deeper glimpse of the entire network. It was primarily U.S. agents that headed up this intelligence gathering, but it was the strategic cooperation that enabled both parties to fully utilize the asset they had on their hands. Considering the limited technical resources Pablo Escobar had at his disposal, his efficiency in terms of how he put his technological assets to work was simply astounding. It is scary to think what he could have accomplished in today’s time with today’s exponentially advanced technologies. The proliferation of cheap, disposable cellular phones, which have become readily available, would have served as an immense edge to the Medellin Cartel’s communication Infrastructure. The specialized interception methods used by the search-bloc would be rendered obsolete due to the potential of having a new set of cell phones and numbers for each mission. Furthermore the sheer volume of which these technologies are used by common citizens would provide them with incidental camouflage for the SIGINT interceptors. They have the added benefit of being lost in the multitudes of data and signals that would be intercepted by the Search-Bloc today. The way this cartel was set up is similar to the way current Islamic extremist groups have their terrorist networks set up. They follow the adage of ‘hard to find, but easy to kill’ in the way their organization is dispersed and concealed. Getting to the main leader of this group [Escobar] or of a similar terrorist organization takes the intensive application of resources to successfully reach an agency’s goal. The services learned how to deal and successfully interact with paramilitary forces already on the ground – like here with Los Pepes. But we have also learned to be careful from arming the locals because it can come back to bite us – like in the case of al-Qaeda. As time moves on the tactics and strategies of the military forces will evolve and adapt – shedding the practices of yesterday to adopt better, more efficient practices of tomorrow. Moving human intelligence into an increasingly more SIGINT based perspective. The gathering of signals intelligence by the National Security Agency easily accounts for the majority of military intelligence spending by the United States Government. While Washington bureaucrats may suggest that the large magnitude of this wing of the Department of Defense is due to unregulated bloating, this is far from the truth. Signals Intelligence or SIGINT is imperatively important in regards to how this country goes about protecting its national security. These tactics provide numerous assets as a means to maintain a comfortable level of security for the American people. Due to the high valuation of these resources, steps have been taken to insure the intelligence collecting capabilities of the United States are a cut above the rest and one step ahead of their enemies. It is quite easy for one person to design a plan of aggression; however it becomes a challenge when this aim is escalated to a conspiracy. The importance of signals intelligence is both logically and blatantly obvious when this simple fact is examined. As soon as multiple persons are in a position where communication is a necessity, there has to be a means and medium over which this is to take place. Enter the digital age; everything from text, to voice, pictures, and even streaming video can be converted and condensed in to digital ones and zeros. If this is how the OpFor aims to communicate, the basic SIGINT theory is easily grasped; collect these ones and zeros and then you have their playbook and itinerary. Thanks to the likes of Silicon Valley and the NSA’s veritable Army of Mathematicians, Linguists, and Security Analysts, both the technology and manpower exist in America to continue to propel them in the forefront of the SIGINT frontier. This is the second reason why there is such an importance placed on signals collection. The United States excels in the arena of having the resources and ability with which to execute these collection operations with. America is great at doing this – and it just so happens that this is also a major component of contemporary intelligence analysis. Rounding out the three major advantages that SIGINT collection has is its more casual appeal to the likes of politicians, government officials, and the military brass. The systems in place are concrete and physical, the man power force is observable and measureable, and the products resulting from these outfits are utilitarian and highly relevant in nature. The politicians get their piece of mind that systems are in place to protect their constituents, the government officials have their bureaucracy and infrastructure to operate within, and the military is provided with actionable intelligence. We know the mode by which the OpFor communications will be transferred, we have the means to both intercept and analyze these messages, and we have the might of the United States Military, Law Enforcement Agencies, and the CIA to act to protect the American people. Bamford illustrates the need for a transition from cold war tactics to a strategy that will adequately combat the new and still evolving borderless, global, militant insurgencies. In the PBS-NOVA documentary outlining the NSA and closely following The Shadow Factory; a contributor gives the interesting detail that outlines the current dilemma as well as the new dynamic that SIGINT needs to pursue. He says “…the Soviets were easy to find, they were hard to kill; whereas with al-Qaeda and insurgencies, they are hard to find and easy to kill…” This accurately sums up the new challenges the intelligence community faces in contrast from which their practices and policies originated. Often outlined and certainly emphasized by Bamford, and logically inferable, is the fact that while collection of signals is by no means a challenge; it is in the analysis of the raw data into actionable intelligence that the potential for problems arise. Furthermore, even when there is a success regarding the analysis of data – which is certainly a focus in the book – the transition into actionable intelligence isn’t always appropriately dispersed, even when requested from a high priority mandate. While the concept of compartmentalization did serve as an effective basis from which intelligence departments could launch, this served to be the single greatest flaw perhaps to ever beset American National Security. Now granted the moves executed by the likes of George W. Bush and the PATRIOT Act are designed to break down these walls and barriers; the risk of American Citizen’s right to privacy is increasingly imperiled. Herein lies the debate; it has become a question of protection verses privacy, security and surveillance or liberties and license. All of these questions culminate into a riddle that is presented by the author: ‘are our policies and techniques working and that is why we haven’t been attacked again?’ or ‘will we only be a witness to failure again once it is already too late?’ The answer seems to be that only time can and will reveal what this dynamic scenario of signals intelligence will develop into. Humanitarian Military Intervention: The threat or use of force across state borders by a state (or group of states) aimed at preventing or ending widespread and grave violations of the fundamental human rights of individuals [citizens and denizens], without the permission of the state within whose territory force is applied. The context of a humanitarian intervention is often juxtaposed with an estimation of what a human life is worth. Calculations are made regarding the potential financial expenditure by the intervening nation or nations, the size of the population that will be saved by this military action, the duration of the intervention mission, and the projected loss of life by the intervening forces. If there is a favorable result at the end of this actuarial/financial maneuvering, then it seems nations are more than willing to risk money, resources, and their military forces. To reduce the value of human life to an equation mitigates the value of the oppressed on whose behalf the intervention will be or is being waged. While this approach may be preferable by fiscal conservatives and/or isolationists, this process ultimately defeats the moral implications of humanitarian interventions. The mass atrocities that precipitate a humanitarian crisis are rarely sudden. The conditions slowly build up; whether by the escalation of pre-existing tensions and sentiments [uncoordinated among a demographic or population], the targeted and focus actions of an autonomous coordinated movement or group, or direct paramilitary or state acting forces. The modern [post-1945] world audience is rarely surprised when humanitarian crises do erupt. The channels taken to mitigate these escalations are typically through diplomacy, appeasements, sanctions, or monitoring events. However, there are instances when inaction is appears to be the path chosen by those capable of intervening. As time has progressed and patterns of how humanitarian crises evolve have emerged, the global community has become better at recognizing when potentially dangerous scenarios might unfold and are more willing to intervene before rampant mass atrocity crimes occur. The evidence that will be presented regarding humanitarian interventions is necessary to fully understand the scope and breadth of the moral implications inherently tied to a responsibility to protect. The context of the moral quandaries that arise from humanitarian military interventions are best understood when examining the history of mass atrocity crimes and looking at a case study of recent mass atrocity crimes in Europe. From that foundation an analysis of the responses from America and the international consortium will provide a rubric for which to apply to current events and the overarching questions of morality. With the creation of this new term, he also acknowledged that genocide is never sudden and there are predictors which can be observed ahead of time. By the time Lemkin had his book published, the realization of what Nazi Germany was doing to the European Jews - as well as whom they termed to be undesirables – had spread to the western world and allied nations. Academics also attribute this inaction to misinformation, veracity of the claims, and sheer disbelief that something like that was even taking place. Furthermore, the question of ‘complacency amongst the majority’ is raised to the citizens of Nazi Germany and their allowing and passive endorsement of what was occurring. From this would emerge new concepts on the world’s stage. The Nuremburg trials setup to prosecute Nazi war criminals established the idea that an international court could have jurisdiction over international borders. From this the International Court of Justice would emerge in 1945. Furthermore the UN’s passage of The Universal declaration of Human Rights in 1948 was an assurance that the world’s major nations would not sit idly by, engage in, or actively facilitate the mass atrocity crimes of WWII. This was not a guaranteed recourse of action, but rather a stark and sobering reminder of what man is capable of – both in terms of how evil exists and what fantastic extents it is capable of, as well as how to promote the freedoms of life and to prevent the denial of inalienable rights in the future. The Bosnian war was a result of the breakup of the former Yugoslavia. In 1991 Bosnia and Herzegovina declared their independence as a sovereign nation. The region had been recently destabilized due to the collapse of the Soviet empire. Nationalism was in competition with cultural identities, setting up the powder keg that that would fuel the ethno-sectarian feuding for the next decade throughout the 1990’s. The functionality of Yugoslavia as a soviet satellite nation kept the underlying turmoil at an ease and under control due to the classic iron first mode of tyrannical repression. The besieging forces of Army of Republika Srpska kept the denizens of Sarajevo in a constant state of fear. Nearly 350 rounds of ammunition and/or ordinance were fired into the city limits on a daily basis. The city of Sarajevo was comparable to the like of Oklahoma City; modern, conservative, and with a contemporary history of civility and stability. Not only was action against the primary belligerents – the Republika Srpska – delayed, the action being taken was sub-standard and ineffective in regards to the aims the UN had set out when solely providing humanitarian non-military aide. It would not be until August of 1995 that the NATO Operation Deliberate Force would be launched to directly intervene in the Bosnian war. The targets were exclusively Serbian forces that were targeting UN mandated safe zones – specifically the township of Srebrenica and when they proceeded to trespass on the other customs of war by using UN peacekeepers as hostages. Once the NATO sorties escalated to a full counter operation against the Serbian forces, the siege of Sarajevo was over in just over a week. Whilst the immediate peril ended with this humanitarian crisis once NATO stepped in, the Government of Bosnia and Herzegovina puts the official date for the end of the conflict in late February of 1996 – nearly 100 days after NATO first acted. The intervention was in and of itself considered a success once it was initiated. However, and quite embarrassingly, it was a UN resolution that left Bosnians unable to adequately and independently defend themselves separate from the Canadian-UN contingent. As a way to drawdown the escalation of events and to hopefully ease the situation, the UN setup an appeasement aimed at the Serbian forces. The UN would disarm the Muslim-Bosnians and in exchange the Serbian forces would recognize Srebrenica and other specific zones as UN mandated safe zones. A slight positive note is that on the side of the intervening forces, it was the multilateral and international channels of NATO and the UN that were utilized to reconcile and ease the situation. This was an attempt to reign in the numerous ventures that had been attempted, the numerous theories on how to act, as well as a retrospective of previous events. This report affectively answered the question posed by Kofi Annan as well as recognizing the inherent moral imperative of humanitarian military interventions as a necessity to prevent mass atrocity crimes. formerly adopted by the UN or any international bodies. However, this outline became part of the unspoken customs of war and until 2005; the humanitarian interventions that occurred followed this six point outline. It would not be until 2005 when a ‘Responsibility to Protect’ would become the unanimous norm among UN nation states. During a world summit it was voted that the mandate of “each individual State ha[ving] the responsibility to protect its populations from genocide, war crimes, ethnic cleansing and crimes against humanity” was passed with zero opposition. The UN office for the special adviser on the prevention of genocide used the report from the ICISS as both a foundational framework and borrowed the mantra for the UN’s venture into humanitarian military intervention policy. 1. A State has a responsibility to protect its population from genocide, war crimes, crimes against humanity and ethnic cleansing (mass atrocities). 2. If the State is unable to protect its population on its own, the international community has a responsibility to assist the state by building its capacity. This can mean building early-warning capabilities, mediating conflicts between political parties, strengthening the security sector, mobilizing standby forces, and many other actions. 3. If a State is manifestly failing to protect its citizens from mass atrocities and peaceful measures are not working, the international community has the responsibility to intervene at first diplomatically, then more coercively, and as a last resort, with military force. This formula for humanitarian crises intervention was a great success in regards to the implications attached to an endeavor of this magnitude. They reviewed the past cases, double checked where mistakes had been made, and outlined a plan for the future accordingly. The method and mindset they used to determine these factors was well placed. They tackled the central issue of ethics and morality, considering sovereignty as a factor, and arrived at a conclusion that looks to be fit to actively combat the nature of this dilemma. An analysis brief from the Council on Foreign Relations stated that: "The international military intervention in Libya is not about bombing for democracy or Muammar Qaddafi's head," says Gareth Evans, a principal author of the R2P concept. "Legally, morally, politically, and militarily it has only one justification: protecting the country's people." It is hard to argue with the evidence supporting the Responsibility to Protect doctrine. Operation Odyssey Dawn (U.S. Mission Name)/ Operation Unified Protector (NATO Mission Name) absolutely cannot be called anything other than a success. Over a nine month period the U.S. only spent $1.1 billion dollars. The lead from behind approach helped to accomplish our moral objectives, humanitarian objectives, military objectives, and we were able to be fiscally conservative as a byproduct. The global community came together to prevent a mass atrocity. When the requirements and outlines were met by the concerned parties, the support was ready to go, with minimal hesitation. This wasn’t America acting as the world’s police. Echoing what Evans said in support of this mission, the moral imperatives requiring action were presenting themselves and the challenge was met. So the Responsibility to Protect has not only emerged, but it has now been around for a decade, and indeed it has now solidified itself as the norm. Abbott, C. (2005). Rights and Responsibilities. Oxford: Oxford Research Group. Andreas, P. (2008). Blue Helmets and Black Markets. Ithaca: Cornell University Press. Bellamy, A. (2011). Global Politics and the Responsibility to Protect. New York: Routledge. Burns, J. (1993, April 22). Muslim Defenders Disarmed, U.N. Says. The New York Times . Connaughton, R. (2001). Military Intervention and Peacekeeping. Aldershot: Ashgate. Cushman, T., & Mestrovic, S. (1996). This Time We Knew (Western Responses to Genocide in Bosnia). New York: New York University Press. Ferris, E. (2011). The Politics of Protection. Washington D.C.: Brookings Institution Press. Heinze, E. (2009). Waging Humanitarian War. Albany: State University of New York Press. Holzgrefe, J. (2003). Humanitarian Intervention: Ethical, Legal, and Political Dilemmas. Cambridge: Cambridge University Press. Howard, L. M. (2008). UN Peacekeeping in Civil Wars. Cambridge: Cambridge University Press. Ivana, Macek. (2009). Sarajevo Under Siege (Anthropology in Wartime). Philidelphia: University of Pennsylvania Press. Lemkin, R. (1944). Axis Rule in Occupied Europe: Laws of Occupation - Analysis of Government - Proposals for Redress. Washington D.C.: Carnegie Endowment for International Peace. Lischer, S. (2005). Dangerous Sanctuaries. Ithaca: Cornell University Press. MacQueen, N. (2011). Humanitarian Intervention and the United Nations. Edinburgh: Edinburgh University Press. Ramcharan, B. (2002). The Security Council and the Protection of Human Rights. The Hague: Martinus Nijhoff Publishers. Sovereignty, I. C. (2001). Reponsibility to Protect. Ottawa: International Development Research Centre. Thakur, R. (2006). The United Nations, Peace and Security. Cambridge: Cambridge University Press. The New Republic Inc. (1996). The Black Book of Bosnia (The Consequences of Appeasement). New York: Basic Books. Traub, J. (2006). The Best Intentions. New York: Farrar, Straus, and Giroux. Drawing from their history of pro-Lebanon military support and origins associated therein, their formal entrance into the Lebanese government in 1992 and subsequent political actions and policies, and their vast and varied social welfare and infrastructure based programs (i.e. hospitals, news outlets, and general welfare subsidies); Hezbollah has been able to effectively establish itself as a significant and influential faction and become a force of moderate Islamic representation for the people of Lebanon. When discussing opposition parties that initially relied on violent tactics during a time of combat, it can be hard to differentiate later on between the military wings and more social and political wings of the organization question. Often developing a grass roots support foundation among the population that the organizations operate behind or in the name of, both the military conquests and the social services programs serve as a means for the organization in question to bolster their support. Effectively making it difficult to an observer to separate what factors attributed to, both the increase in or waning of, the support in regards to the organization’s influence and/or popularity in their region(s) of operation. But on the same reasoning, because military endeavors can be a substantial motivational factor for gaining support for an organization, both the history of military endeavors need to be discussed, as well as what military operations were happening during periods of significant political events. Literally meaning ‘The Party of God’ ['Hezb' meaning party & 'ollah' an anglicized form of 'Allah' means God], the presence of Arabic and Islamic influences can be found directly in Hezbollah’s name. Hezbollah was formed in response to the Israeli invasion of southern Lebanon in 1982 and the occupation of American and French military forces during the Lebanese civil war. Created from the common detestation of Israeli occupation, Hezbollah was a voice of Lebanese unity towards the expulsion of the Israeli invaders in the southern region of Lebanon. Gaining its foundations as a small militia group being trained by a tiny offshoot of the Iranian revolutionary guard under guidance of the then supreme Ayatollah Khomeini, Hezbollah was initially a channel for Iran and Syria to directly oppose and combat their perceived Israeli threat. As a result of their previous expulsion from Jordan, during the Jordanian civil war, starting with black September in 1970 and ending the following year in July 1971, the PLO had largely relocated into southern Lebanon. This relocation of the PLO sparked what would be a long and bitter civil war within Lebanon, eventually involving many international belligerents. In the early 1970’s an occupation of Lebanon by Syrian forces was initiated in an attempt to mediate the tensions between the Lebanese and inhabiting PLO. With the internal tensions in Lebanon finally reaching an apex in the late 1970’s, an all out civil war was ignited. Due to Israel’s already established resistance and opposition to the PLO, they took preemptive measures to invade the PLO stronghold of southern Lebanon in 1978, establishing a military buffer zone between Israel’s northern border and the PLO. Continuing in 1982, Israel’s invasion of Lebanon was a campaign to repel the Palestinian Liberation Organization (PLO) forces, still taking refuge in southern Lebanon during the civil war, 40 kilometers north of the Israel border with southern Lebanon, further intensifying a heated and bloody struggle. Due to political reasons, the established Lebanese military was not allowed to oppose the occupation of the Israeli forces. With the contributing factors of an Israeli occupation, the PLO as a target of that occupation, and American and French interference in the conflict, a new voice of opposition arose in Lebanon with the name Hezbollah. 3. To permit all the sons of our people to determine their future and to choose in all the liberty the form of government to pick the option of Islamic government which, alone, is capable of guaranteeing justice and liberty for all. Only an Islamic regime can stop any further tentative attempts of imperialistic infiltration into our country. Hezbollah’s Military wing, known formally as the ‘The Islamic Resistance’ is often credited as the first Islamic militant group to employ the use of suicide car bombers; this unconventional style of urban guerilla warfare scored numerous tactical victories in pursuit of their established mission statement. With successful attacks against the Israeli Defense Force (IDF), Hezbollah was achieving forward steps in their quest to repel Israel back inside their military buffer zone and even further towards their border. With some American mediation, an accord was agreed upon between Israel and Lebanon for the removal of Israeli troops back into the buffer zone. But due to pressure from Syria, Lebanon backed out of the accord. In June 1985 the Israeli retreat into the Security zone along their northern border was complete. And in the following Israeli elections of 2000, the newly elected Prime Minister, Ehud Barak, withdrew IDF forces back into Israel and handed over the security zone to the Lebanese Military. On the other front of interference from external and international forces, Hezbollah scored some gruesome triumphs between 1982 and 1986. While Hezbollah denied direct involvement to the suicide attacks in the early to mid 80’s towards American, French, Israeli, and Lebanese targets, the attacks have since been attributed to them. Although the Americans brokered the accord between Israel and Lebanon, direct military involvement ceased after their expansive casualties in Beirut. But with the Syrian occupation still in effect, Lebanon was still not free of outside influence. The beginning of a semi-permanent structure between Lebanon and Syria began in the early 90’s when Syrian forces supressed Lebanese militias and took control of the presidential palace. To legitimize this occupation of a sovereign nation, Syria created an alliance with Lebanon based on the common issue of defense and affairs of the state, effectively appeasing any possible UN interference. This treaty would last fairly comfortably until 2000, when the president of Syria, Hafez al-Assad, died. Unrest within Lebanon towards the continuing Syrian occupation, coupled with the victory in regards to the Israeli’s, previously mentioned, total withdrawal in 2000; the image of an autonomous Lebanon began to emerge within the population. This attitude towards moving back to a sovereign would finally come to fruition by a UN mandate in 2006 essentially demanding Syria to vacate Lebanon. In the years following Beirut and Damascus would develop their first diplomatic relationship since their inceptions. Throughout all of the occupations of Lebanon by various border nations and international influences, Hezbollah was able to retain its integrity. This sentiment for the preservation of Hezbollah, even after all invading forces had been withdrawn, was confirmed and legitimized by the Lebanese Cabinet in 2008. From these forged from fire foundations, Hezbollah would be primarily militaristic until its entrance in the 1992 Lebanese general elections, and finally ending its campaign of suicide bombings after Israel’s complete with drawl in 2000. From its official genesis in 1985, Hezbollah sought to enter the 1992 Lebanese general election as a representative for the Shi’a, the largest religious demographic in the Lebanese population. With the current model of elected confessionalism as a means for representation, political values were based primarily on religious affiliations; and the electorate system remains the same today. The decision for Hezbollah to enter in the field of legitimate politics was a two part concoction; first being that Hezbollah was fairly accepting of the system in place, labeling this “opening up” as Infitah, and second, as Weinberg and Pedahzur suggest, the existing Lebanese government gave them “an opportunity to come in from the cold by providing members of the organization with amnesty and an opportunity to reconstitute themselves as a peaceful political party.” Since Hezbollah started off from a jihadi base, they had to seek approval from Ayatollah Khamina’i in order to fully pursue ‘Lebanonization’ and legitimization; to which he promptly authorized. When Hezbollah emerged; they maintained their sectarian hard line Shi’i Islamist stance. Surprisingly the 1992 Lebanese general election results gave Hezbollah 8 seats within the parliament. As previously mentioned Hezbollah draws heavily upon their stance as a Resistance force for Lebanon and their successful opposition of the Israeli Defense Force. These victories can be positive in the construction of a support base, but without official channels to disperse the information regarding these victories, what is established could best be described as mythology. But Hezbollah is extremely smart, media savvy, and very aware of their public image. The first definitive example of this can be observed in 1991 with their establishment of al-Manar, a Lebanese satellite-based television station set-up with help from the Iranian revolutionary guard for the purposes of promoting and conveying pro- Islamic, Arab, and Hezbollah news and propaganda to the Lebanese people, as well as the rest of the Arab world. This tool has provided an excellent and direct link to not only the Lebanese people but has served as a channel for promoting pro-Hezbollah sentiments to the Arab world, while simultaneously damaging the report of the Israeli’s. These tactics were used in a way to show, through use of battle footage and often skewed reports, coming directly from Hezbollah’s public relations authority, that Hezbollah’s main interests were in bolstering the sovereignty of Lebanon, effectively solidifying their image as a resistance movement. Once again acting as the prevailing force that removed the Israeli Defense Force from Lebanon, Hezbollah would see an increase of support in that fall’s parliamentary elections. The decision of Israel to withdraw in May now seems like an ill-timed plan. This interpreted act of Israeli weakness by the Lebanese people would serve as a catalyst for Hezbollah support among the southern Lebanese population. Also, since Hezbollah was better equipped to fight the Israeli’s, thank is part to Syria and Iran, the Lebanese government grew to recognize Hezbollah as a legitimate defense force and essentially approved of their military campaigns. These two combined factors would serve as an enormous boost to Hezbollah’s power within the parliament, gaining them an extra 3 seats, bringing their total representation to 12 MP’s. From these military and political triumphs, Hezbollah would continue on the path of becoming a mainstream and accepted entity within Lebanon. After the al-Qaeda terrorist attacks of September 11th on American soil, the head of Hezbollah’s external relations division, Anwar al-Moussaoui, made Hezbollah one of the first and most vocal internationally designated terrorist groups to publicly condemn the actions of al-Qaeda and Osama Bin Laden. This public outcry against such radical Islamic extremism would earn Hezbollah a short vacation from the United States’ designated terrorist organization list, from which it had been placed on in 1999. This break would be shortly lived as it was placed back on the United States foreign terrorist organization (FTO) list only a few months later, where Hezbollah still remains today. But since the Israeli withdrawal in 2000, even up until now, Hezbollah has not utilized the tactic of suicide bombing in any capacity. While Franklin Lamb directly asks the question of “Why is Hezbollah on the Terrorism List?”, many scholars seem to avoid this outright questioning due to the United States extreme pro-Israeli stance on foreign policy, and the general tone of pro-Israeli support in the American population at large, at 63%, nearly a 4 to 1 ratio of support in regard to Israelis over Palestinians. So although Hezbollah continues to gain support in its own country and across the Arab league, still being on the ‘Terrorist List’ negates any possible chance of diplomatic ties with the United States or Israeli governments. Staunch critics of Hezbollah, such as Jeffery Goldberg, The New Yorker, have equated them to being as much of a threat to Americans as al-Qaeda. These claims have been virulently refuted by critics of Goldberg and even Hezbollah themselves. In 2005 the Prime minister of Lebanon, Rafic Hariri, was assassinated by a bomb that went off by his motorcade. The blame for the assassination has been spread to various differing factions such as the Syrians, Hezbollah, and the Lebanese government. No one has yet to claim responsibility. The result of the assassination led to a hasty withdrawal of Syrian troops from within Lebanon. Although there was yet to be a mandate for Syria to leave Lebanon completely, and aside from removing their troops, Syria would still have an influence in Lebanon until April 2006. This led to a massive outpouring of protests in the capital of Beirut, which would later be dubbed “The cedar Revolution.” Hezbollah leader Hassan Nasrallah called for massive protests against the United States, Israel, and the UN; effectively projecting blame of Hariri’s assassination on western influences. Out of this revolution, two groups would emerge: the ‘8 March Group’ movement and the ’14 March Trend’ movements. The names where a manifestation of the day in which those groups had led public protests. The ‘March 8th’ group consists of pro-Syrian Hezbollah, Amal, and the Socialist parties, while the ‘March 14th’ is led by Saad Hariri, the son of Rafic Hariri, and the group consists of anti-Syrian Future movement and various democratic parties. This lack of a one third or 33% opposition group prevented the Hezbollah bloc from being able to veto policies from the ‘March 14th’ group. So when Fu’ad Sanyura, the ‘March 14th’ backed prime minister called for an internationalization of the UN investigation into the assassination of Hariri and a call do disarm Hezbollah via the US-backed UN resolution 1559, Hezbollah opposed these measures. In response, the leader of the Free Patriotic Movement signed allegiance with Hezbollah and formed a solid opposition with veto power. Also the ‘March 8th’ and Free Patriotic Movement memorandum that Hezbollah had signed with General Aoun reiterated the need for Hezbollah to maintain its state of armament. Later on, and even though Hezbollah and the ‘March 8th’ movement had pro-Syrian connections and initially opposed the withdrawal, the final decision of Syria to withdraw from Lebanon, due to UN resolution 1559, was generally welcomed by all in April of 2006. Following the Syrian withdrawal, the lack of motivation from the government towards the disarming of Hezbollah set up a tricky situation in regards to international relations for Lebanon, but also put a direct strain on the fragile Hezbollah and Israeli-US relations. Almost taking advantage of this power within the parliament, Hezbollah launched ‘operation truthful promise’ attacking an Israeli border patrol to capture 2 soldiers to use as bargaining chips for freeing Lebanese prisoners still being held in Israel. Israel would launch a 34 day onslaught of an offensive using air power, artillery, and ground forces. They first targeted and leveled the highly effective al-Manar headquarters in southern Lebanon effectively leveling the structure. However due to Hezbollah’s understanding of the importance of their TV network and their preemptive measures to safeguard it in case of an attack, al-Manar was not down for long; utilizing undisclosed locations to secretly broad cast from. As discussed earlier, Hezbollah’s grasp of the importance of technology and public relations in previous political and combat related endeavors was greatly influential. These resources were greatly utilized in the 2006 Lebanon war. Hezbollah used it as a channel to show the Lebanese people the Israeli aggression and helped to gain further pro-Hezbollah support through the Arab world. These factors, in combination with the displacement of millions of Lebanese and thousands lost on both sides, would lead to the UN Security Council Resolution 1701, effectively ending the war on the 14th of August 2006. The damage to Lebanon and its infrastructure was devastating. With the country already 36 billion dollars in debt from rebuilding from its long civil war, the estimates of this war alone were 8 billion dollars in damages, leading political scientist Paul Salem to call it “the costliest Arab-Israeli war in Lebanon’s History.” It had an extremely hard effect on Lebanon’s economy; as it was summer, the height of the tourism season. The timing of this cost Lebanon greatly in lost revenues. But for Hezbollah, because of the Israeli actions in Qana on the 29th of July 2006, good sign would come out of terrible news. Dubbed the ‘Second Qana Massacre,’ Israeli warplanes had bombed a rural village suspected of being a staging area for Hezbollah rocket fire. What it turned out to be was a joint-family village, and reports later confirmed that there was in-fact no rocket fire from that region. The result was 30 dead, 27 civilians, and 3 Hezbollah fighters. The 3 fighters were extended members of the families; 2 were Christian and 1 was Muslim. After the UN mandated cease-fire, they held a mass funeral. What would happen at the funeral would unite a nation across sectarian and religious divides. During the burial ceremony, all 3 coffins were draped in yellow Hezbollah flags and buried according to a traditional Islamic martyr’s funeral. This event along with the second successful eradication of an Israeli presence within Lebanon, galvanized Hezbollah as both a legitimate Military force and Political Party in the eyes of the Lebanese; both civilian and in the government. Other than the implicit policies and established actions of both sides, speculation runs rampant between The United States and Hezbollah. The fact that Hezbollah was started with influence from the Iranian revolutionary guard, is pro-Syrian, refers to the grand ayatollah in Iran as a leading figure, and is directly funded and supplied by the government of Iran, the United States is easily apprehensive towards the motives and intentions of Hezbollah. While in recent years this divide between Iran and Hezbollah has grown bigger, and Hezbollah has become more secular and autonomous in their policies. The United States is publically skeptical about Iran, and by proxy Hezbollah. This outlook is often expressed by US government officials, politicians, and media outlets. On the other side, due to America’s undying support of Israel, Hezbollah is rightly suspicious, because an American policy is more often than not overwhelmingly pro-Israeli. While these assertions by both sides are a mixture of speculation and interpretation, they are implicitly understood even if they are not explicitly expressed. Whether I was reading pro-Israeli or pro-Hezbollah source material while researching this topic, I could not help but constantly notice the use of terms like “growing, increasing, and improving” when describing the influence and sentiment towards Hezbollah. From starting off as an Islamist Jihadi militia in the early 80’s, Hezbollah has grown into a magnificent model of how ‘terrorist’ groups can evolve into an integrated and important part of the government and actively participating in a peaceful political process. By numerous accounts, and unlike other Islamist groups such as al-Qaeda, they have accepted the status quo of their available channels of operation and have successfully engaged in meaningful discourse. In the topic of status quo, Hezbollah has not been the only group to acknowledge what they are dealing with, and act accordingly. A great understanding by the majority, whether the Lebanese government or the international community, Israel and the US excluded, has taken place in regards to recognizing exactly what Hezbollah is. By doing understanding that the heart of Hezbollah is a resistance movement as a way for vocal and meaningful representation and with the means to protect Lebanon’s sovereignty from both foreign and domestic entities trying to corrupt Lebanon. And while the main parts of Hezbollah are separate and identifiable entities, the militia, the political party, and the social services branch, they rely on the assistance and of the individual pieces, and help to bolster Hezbollah as a whole. While Hezbollah isn’t entirely committed to non-violence, it prefers to use force internally as a last means. And even on the use of force in relation to Israel, their modus operandi has become increasingly more conventional, highlighted by the fact that although they pioneered the technique, they have not used suicide attacks in over a decade. In the political realm overall moderation of their rhetoric and formed alliances with other minorities, whether with politics or events like the Qana Massacre. The currently established Hezbollah bloc or ‘8 March Group’ has been able to maintain their political influence; effectively maintaining their power of minority veto. And since their main focus is and always will be the welfare of Lebanon, they have grown to become “the most effective welfare provider in Lebanon – far more effective than the state” for the past decade. With all elements and factors assessed, Hezbollah has responded positively for the push in a democratic direction. While not themselves being directly influenced by the United States government, the sentiment from neighbors in the region has found its way towards the Lebanese people. Hezbollah started their reforms in 1992 with their Infitah. The ball of democracy and Hezbollah moderation had begun to roll, the outside and uncontrollable factors, in the population and from international influence, only increased the speed of the ball. This Hezbollah movement will continue to grow in Lebanon; even to the probable chagrin of Israel and the US; eventually leading to the Removal of Hezbollah from the ‘Foreign Terrorist Organization’ list and the establishment of some sort of diplomatic tie between the US and Hezbollah. But even with all of this growth, they have still held on to their rough edges. In 2008 they staged an armed sit-in of the capitol to protest the majority parties’ policies, and again in 2009. While blood has not been shed, the use of force to reinforce their politics is extremely risky and not effective in the long run. A hint at Hezbollah’s understanding of this was demonstrated in 2011, when facing potential indictment from the UN investigation of Hariri’s assassination in 2005 and the collapsing of a Saudi-Syrian deal to distance the UN investigation from Lebanon collapsed, the Hezbollah members o0f the cabinet simply left and put the entire Lebanese government at a standstill. The political process in Lebanon is now stagnant. With the still continued lack of a strong central government and military in Lebanon, massive protests and subsequent government crackdown in neighboring Syria, and their past convoluted history with Syria; Lebanon is in an extremely precarious position. But whatever happens, Hezbollah stands ready to interact on conventional grounds, provide for their fellow citizens, and defend the sovereignty of Lebanon. Alagha, Joseph. A Tug of War: Hizbullah, Participation, and Contestation in the Lebanese Public Sphere. New York: Social Science Research Council, 2009. El-Ghobashy, Mona. "Goverments and Oppositions." In Politics and Society in the Contemporary Middle East, by Michele Penner Angrist, 29-48. Boulder: Lynne Rienner Publishers, 2010. Erlich, Dr. Reuven, and Dr. Yoram Kahati. Hezbollah: A Case Study for the Battle for Hearts and Minds. Intelligence and Terrorism Information Center at the Israel Intelligence Heritage & Commemoration Center (IICC) Report, New York: Oceana, 2007. Fadlallah, Sheikh Muhammad Hussein. "An Open Letter: The Hizballah Program." The Jerusalem Quarterly: Issue 48: Fall 1988. Fall 1988. http://classic-web.archive.org/web/20060821215729/http://www.ict.org.il/Articles/Hiz_letter.htm (accessed April 25, 2011). Israeli Ministry of Foreign Affairs. The Israeli Withdrawal from Southern Lebanon- Background Points. May 24, 2000. http://www.mfa.gov.il/MFA/Peace+Process/Guide+to+the+Peace+Process/The+Israeli+Withdrawal+from+Southern+Lebanon-+Back.htm (accessed April 2011). Karon, Tony. Hizballah Brings Down Lebanon's Government. January 12, 2011. http://www.time.com/time/world/article/0,8599,2042003,00.html (accessed May 1, 2011). Lamb, Franklin. Why is Hezbollah on the Terrorism List? April 6, 2007. http://www.counterpunch.org/lamb04062007.html (accessed May 1, 2011). Perry, Mark. Talking to Terrorists. New York: Basic Books, 2010. "Reformation of a Terrorist Group: Hezbollah as a Lebanese Political Party." Studies in Conflict & Terrorism #32, 2009: 669-680. Roschanak, and Shaery-Eisenlohr. Shi'ite Lebanon. New York: Columbia University Press, 2008. Saad, Lydia. Americans Maintain Broad Support for Israel. April 28, 2011. http://www.gallup.com/poll/146408/Americans-Maintain-Broad-Support-Israel.aspx (accessed May 1, 2011). Volk, Lucia. Memorials & Martyrs in Modern Lebanon. Indianapolis: Indiana University Press, 2010. Weinberg, Leonard, and Ami Pedahzur. Political Parties and Terrorist Groups. New York: Routledge, 2003. The UN backed tribunal recently indicted 4 members of Hezbollah in the 2005 Hariri assassination. The US and Israel have expressed pleasure that a final decision has been made, while Hezbollah has claimed the UN investigation was an Israeli front to disrupt the already fragile government in Lebanon. Hezbollah also noted that while evidentiary items and relevant testimonies against Hezbollah, Lebanon, and Syria were all carefully examined and that they all generally complied with tribunal's requests during the investigation, Israel was deceptive and less than forthcoming in their cooperation regarding the Investigation and that evidence potentially damaging to Israel was not fully examined and even possibly ignored. However it has been acknowledged by members of the UN that there were irregularities and inconsistencies regarding the UN backed investigative tribunal as a whole. When the details of the indictments were made public, Hassan Nasrallah denounced the results claiming that it was in fact Israel who was behind the Hariri assassination and Nasrallah has vowed to never turn over the four members of his Shiite militant group who have been indicted in the 2005 murder of former Prime Minister Rafiq al-Hariri, saying in a defiant speech that "even in 300 years authorities will not be able to touch them." Nasrallah did however slightly calm fears by promising that the country would not see a new “civil war” linked to the findings of the U.N.-backed tribunal, granted the government bows to Hezbollah’s power and does not push ahead with arrests.